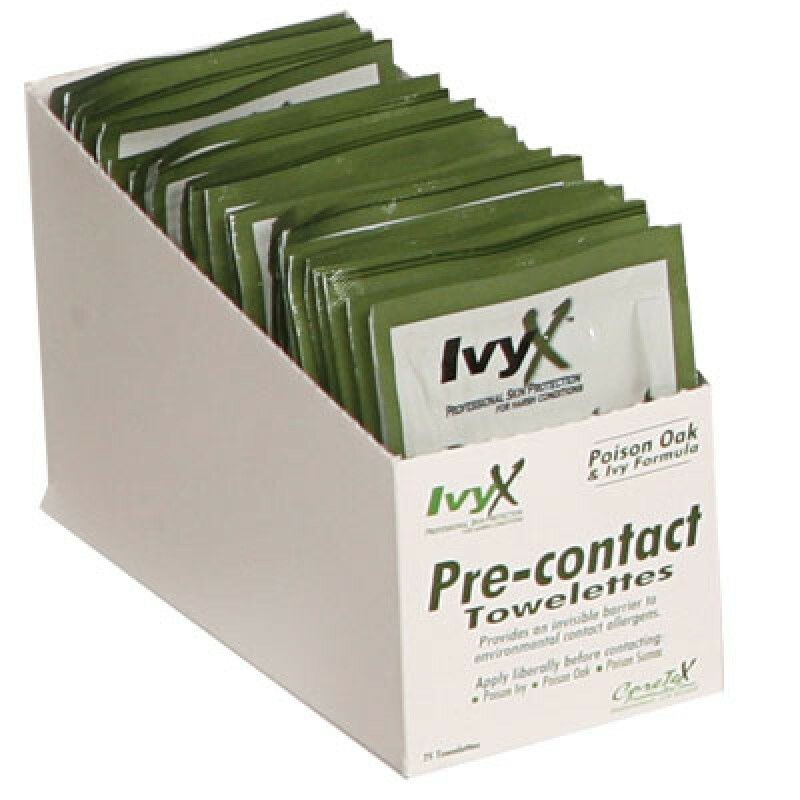 Ivy X Towelettes are a pre-contact skin barrier that protects against poisonous plant oils commonly found in Poison Ivy, Poison Oak, and Poison Sumac. Apply Poison Oak Towelettes to skin to create an invisible barrier providing instant protection. Ivy X Towelettes dries immediately without leaving a greasy, sticky residue. Ivy X pre-contact Skin Barrier is water and sweat resistant, is almost unnoticeable on the skin and washes off with soap and water. Conveniently package in single towelettes for protection on the go. 25 individually packaged towelettes per box.